Digital strategy is not simply about marketing. It is about a better engagement with potential and existing customers. It is about the perception of the brand created with customers though close interaction via social media and close communication leading to a value proposition that can better serve their actual and future needs. The term ‘Enterprise’ in Enterprise Architecture refers to the greater scope of the organisation which includes the Customers, contacts, stakeholders in the wider market environment which is addressed by the Digital Strategy. Enterprise Architecture will help organisations to drive innovations and new business capabilities across their entire value chain and to better understand the digital environment in which they will be operating. Enterprise architecture consists of the following primary architecture domains. In addition to these usual enterprise architecture domains, I propose that further Architecture Domains are required for supporting a Digital Strategy. Modelling the Customers’ own Environment, their processes, usage scenarios, customer journeys. Includes the communication channels used for communications directly to the customers and other external stakeholders. Market Architecture Modelling the outside-in view of what is happening outside the organisation boundaries in the Environment in which the enterprise does business, Social media, Competitors, Competitors Value propositions. The branding, value proposition, projected identity that provides value to the customers for the lifecycle of the business. Includes generic communication to the customer and market, advertising the brand and value propositions. Identify the environmental, industry and internal factors that are influencing the digital strategy. Who else is in your space? As usual this means developing Business Scenarios and Customers Journeys, but also modelling the customers (potential and actual) own business processes. These models will help to understand the customer touch points with the organisation and their desired brand and product experiences. The Customer Architecture will also include a Connection Model to understand the relationships with customers, communities, to better understand the customers own information and process flows. multimedia sites (Flickr), advertising (Ad-Words), entertainment and gaming sites eCommerce sites (Amazon, eBay ), Mobile applications (from Apple Store, Google Play), Smart TV applications etc. This is similar to a Context Diagram showing interaction between the Organisation and its Stakeholders, but in this case the organisation is not in the centre of the diagram and may not be shown at all in a current state (as-is) Connection Model. The organisation will however be shown in a target state Connection Model. In a target state Connection model, it will be important to model how the organisations internal models will be coordinated and aligned to the Customers connection Model. Obtain clarity on who the customer, consumer, partners are, their roles and their values. Obtain clarity on how the organisation means to listen and respond to consumers. A brand’s look and feel and tone of voice is as important as its identity, experiences and value proposition. Brand Strategy – Developing a creative brand strategy that is fit for purpose, up to date and distinctive is key to establishing all marketing communications. Who engages with your brand? The internal mode of the organisations Brand will need to be part of the Value Proposition model and show where the Brand messages will be projected. Modelling what customers are interested in. Create a view of the organisational capabilities across people, process, information and technology required to deliver the brand and product experiences. Understand the content management approach and how it is enabled. Value of each bit of content. As usual if you don’t measure, then you can’t manage. However, it is surprising just how many enterprises fail to measure anything at all, including what they have done and what they plan to do. Business transformation involves significant changes to all areas of an enterprise. It focuses on the future strategies. These includes strategies, business models, operating models, business processes, information & data, systems, products, business services and channels. These are exactly the deliverables developed by enterprise architecture to understand the current state of an enterprise, to envision and design the future state of the enterprise, to discover the gaps between them, to identify the opportunities for investment in change and to plan the enterprise architecture roadmap to achieve the change initiatives. This sounds just like what Business Transformation approaches do, doesn’t it? In fact Enterprise Architecture and Business Transformation disciplines have much more in common, than they have differences. It’s clear that real Enterprise Architects play a critical role in business transformations. The Chief Enterprise Architect is the most important member of the senior management team leading a business transformation and ensuring that it is effective. 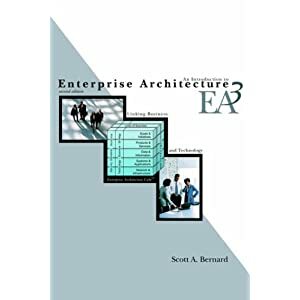 By the way Enterprise Architecture, by definition, should not be misunderstood as only being about IT Architecture or Technical architecture, used just to support IT solution development. This is not what real enterprise architecture is for. Business transformation is rarely limited just to IT projects. The CxOs are the business leadership responsible for providing business direction, identifying the needs for the business transformation in the first place and making the investment decisions. But the Enterprise Architects will work directly with the CxOs to drive out the devil in the details, planning the future transformation roadmap, developing future scenarios, making projections and forecasting future options. Acting without enterprise architects is equivalent to failing to make proper preparations and is asking for trouble. The enterprise architects perform the important task of analysis and evaluating the impact of strategies and proposed changes in detail, identifying risks and prioritising the transformation initiatives into a viable roadmap. 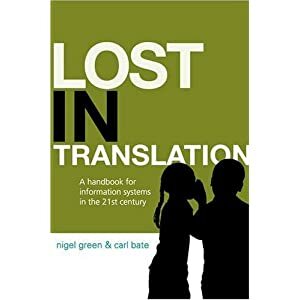 They manage the complexity of transformations and are essential to achieving success and effective transformational changes. Enterprise architecture is about bridging the gap between the transformation vision and strategy and its realisation. What approach should be taken for leading business transformation? 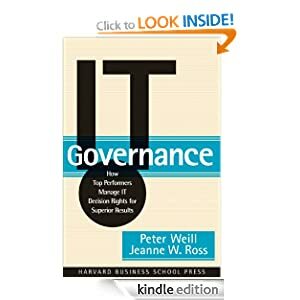 The recommend approach is based on the books by John Kotter, “Leading Change”, “A Sense of Urgency” and The Heart of Change Field Guide”, together with real enterprise architecture approaches to managing strategic change. For Business Transformation to be successful, then the whole enterprise needs to understand the need for it. The whole enterprise needs to have a view of the current state and the motivation for change. Enterprise Architecture provides an understanding of the existing problems and the desired future vision. Avoid complacency and business as usual behaviours. Business transformation means new behaviours and new ways of working. A Business Transformation team should not be a group isolated from the enterprise architecture team, but completely integrated with it. Remember that a real enterprise architecture team is responsible for the future business change within the enterprise (and is not just an IT development function), typically up to between 2 and 5 years into the future. Seriously, how can they be kept separated from a business transformation programme? Identify the members of the Enterprise Architecture/Business Transformation (EABT) team. Look for a mixture of strong management leaders and include a good influential people from a continuum of all job titles, levels of authority and statuses. Remember that enterprise architects are strong and effective change leaders and already cross cut the whole enterprise. Non-enterprise architects in the EABT team will probably have greater political and financial skills whereas Enterprise architects will have cross domain knowledge about the whole enterprise in detail, analytical skills and significantly greater modelling skills. All team members should have good vision and leadership skills. Hold honest and convincing discussions, dialogues and workshops. Enterprise architects are often useful as facilitators at this stage. Ask for emotional commitment from all EABT team members and commitment to work together for the common good of the enterprise. What does business transformation success look like? Planning the strategies and confirm the business motivation. Enterprise Architects and C-level managers will use a Business Motivation Model for this, identifying Strategies, Goals, Objectives and performance measures. Analyse the various ideas and options to develop an understanding the various Business Models for the target transformed enterprise. 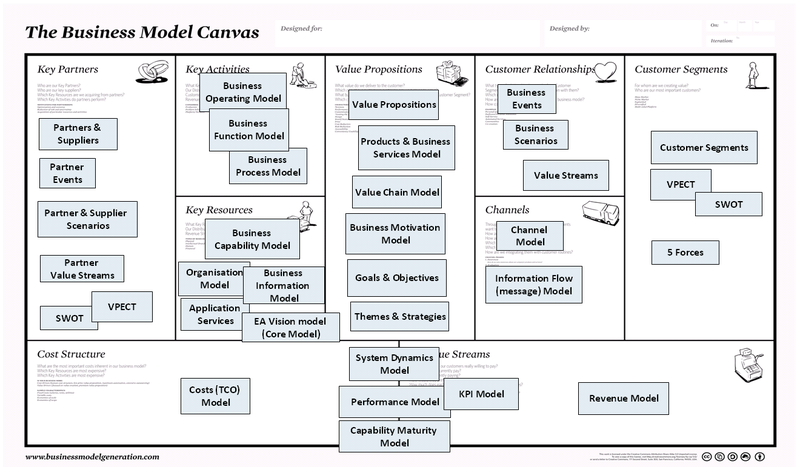 Alternative business models can be produced by the enterprise architects using a Business Model Canvas approach and these can be compared with multiple measures, including total cost of ownership and potential revenue. Avoid thinking in terms of systems and IT solutions too early, after all this is the job of the enterprise architects later on and business transformation is a business problem. Allow for unfettered innovations to emerge from discussions. Identify stakeholders including customers, partners and suppliers. Examining the Outside In views from the perspective of these customers and partners. Creating detailed Business Scenarios, Customer Journeys and Partner Journeys using any suitable story telling approach. Remember that stories are powerful, especially if they come directly from your customers. The enterprise architects will capture and analyse these business stories, but remember that at this stage these are not detailed IT requirements or user stories/use cases from an Agile software development perspective. Those kinds of deliverables will be defined much further downstream. Identify opportunities and innovations. 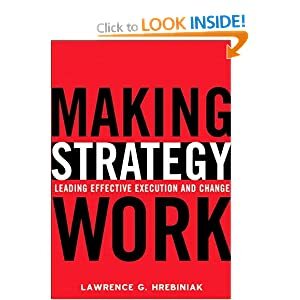 The team should consider approaches such as a Blue Ocean Strategy (see the book). Definition the transformation Vision, Values, Motivations. Analyse and understand the risks, their probabilities of occurring and their potential mitigation. Communication is essential for all business transformations if they are to be successful. There will be detractors and strong opposition to some of the transformation vision. The enterprise architects in the EABT team will ensure that fact based decisions can be made. Publish and communicate the business transformation models as widely as possible. This will help make the right decisions and solve problems. Don’t assume either the C level managers or the enterprise architects have a monopoly on good decisions. Challenges need to be addressed and responded to. Obviously some aspects of the transformation vision and strategy will be commercially sensitive and should not be communicated to the competition without careful thought. However, ultimately remember that the enterprise will want support from all customers, internal stakeholders, outside stakeholders, partners and suppliers and this support and buy in cannot be won without communication. Talk often and modify the transformation visions as needed. 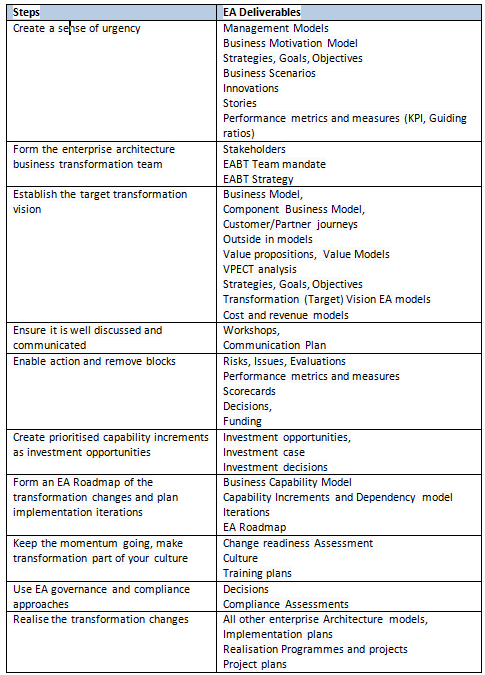 The enterprise architects will keep track of alternatives and decisions in the transformation model. The Vision and strategies need to be tied back to all aspects of the transformation model. This becomes infinitely easier using a flexible EA management tool (such as ABACUS) and avoiding spreadsheets and Visio diagrams which rapidly become unmanageable. Ensure that the joint Enterprise Architecture/Business Transformation (EABT) team is able to lead by example by speaking about the transformation vision at any time and to always evangelise about it. Enabling transformation change is about removing the barriers to change and empowering staff. It involves removing resistance. Often resistance to change from staff is tied to functional divisions and people who are not measured by enterprise’s transformation success but only by fulfilling their own their own personal goals. Paradoxically, it may be the way they are measured and rewarded by the C-level managers that causes people to resist and avoid supporting transformational change. To enable the right actions, the authorities, responsibilities and rewards need to be re-aligned with the business transformation vision, goals and objectives. It is the enterprise architect who takes the business strategies and business model and successfully realise them on behalf of the whole enterprise, so are often best placed to also identify the authorities and responsibilities needed to focus people on benefits to the enterprise. 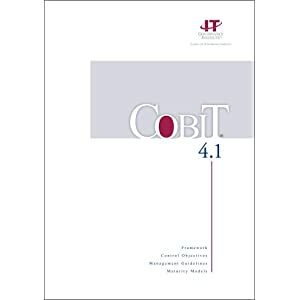 Ensuring that the Enterprise Architecture /Business Transformation (EABT) team has the right authority is also essential, and is able to resolve competing priorities. This authority is also exercised in relation to the governance and compliance stage. Establish the appropriate metrics and measures, and maintain a scorecard for the business transformation vision, goals and objectives. It is strange how often performance is ignored and enterprises do not know how to measure success, or align performance to desired outcomes. Costs and revenue need to be balanced with other measurement dimensions. Measures should be aligned to transformation changes in the EA management tool. Examine the investment opportunities and develop an investment case. The Enterprise Architects will be best placed to determine how realistic and feasible a specific investment opportunity will be, and determine the fine details. Whereas the C-level management will understand the balance of costs and revenue developed in the Business Model. Enterprise Architects will use a Business Capability model to scope and plan which business capabilities will be modified by a transformational change. Transformational changes will typically be classed as short term or long term changes. However by definition, transformational changes will tend to be large and disruptive rather than “low hanging fruit”. Short term transformational changes will however be useful for maintaining the transformation momentum across a number of iterations. 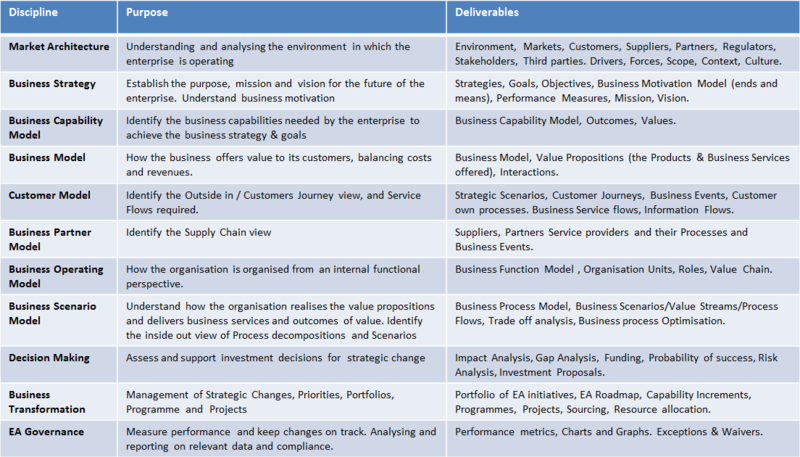 Changes to business capabilities are identified as a number of capability increments. The dependencies between these and their priorities will form the first draft enterprise architecture roadmap and provide the scope and context for subsequent change iterations. It is important to keep up momentum for a business transformation. The EABT team must keep communicating and clarifying the business transformation changes. The business transformation model must be regularly published and all opportunities taken to speak to all stakeholders about it and inform them on status and progress. Capture feedback and responses to continually validate the vision and measure its effectiveness. Address the fear, uncertainty and doubt from detractors and sceptics and motivate supporters to evangelise about the transformation. Encourage desired culture and values that reinforce the transformation changes. Keep your eyes on the roadmap and don’t assume everything is done after the success of the first iteration and let performance and concentration levels drop. Don’t let the EABT team get diverted into other side projects. Perseverance is important. Remember that change is the only constant. Develop communication material including web sites, brochures and posters. Posters can be very effective as information radiators. C level managers will be making the investment decisions and providing funding for investments in change. Establishing an enterprise architecture governance and compliance capability will ensure successful realisation of transformation changes, and help them become permanent business as usual. Detractors will often try to derail changes but the formal governance and compliance approaches will enforce decisions made but will also provide a platform for challenges and objections to be discussed openly and objectively. Business transformation needs many kinds of potential future changes to occur, not least of which are the key cultural changes and organisational changes. Business Process changes, Information changes, system changes and procurement changes are also important. However for these I recommend designing for flexibility and adaptability not going for a fixed solution which may be cheaper but will invariably be difficult to change the next time. Business transformation should be thought of as a continuous process, enabling an enterprise the rapidly respond to changing forces in the market environment. Before changes are executed, it is a good idea to conduct a Change Readiness Assessment, if you have not already done this earlier in the Enabling Action stage. This will help find out how prepared the enterprise is for the transformational changes and identify the enterprise’s overall competence, knowledge, skills and capabilities. Any shortfalls will be addressed by planning suitable skills training, and addressing the shortfalls. For maximum success in strategic business transformations, an enterprise needs to completely and fully use their enterprise architecture resources and enterprise architects. You have to work hard and plan carefully. Building the proper foundation with an enterprise architecture model for the scope of the business transformation will make everything very much easier. There is no good reason why real Enterprise Architecture and Business Transformation should not be merged as a single discipline. The skills needed for each hugely overlap, especially the Business Architecture domain of enterprise Architecture. A joint Enterprise Architecture Business Transformation team is essential to achieving successful and viable transformations. Unfortunately I didn’t hear about this in time to participate but I thought I’d record my own thoughts here. How do you define Business Architecture? What is the role of the business architect? What real world business problems does Business Architecture solve? How is the role of the business architect changing? What are the drivers of this change? 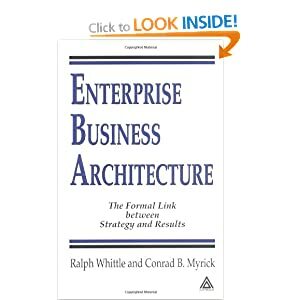 How does Business Architecture differ from Enterprise Architecture? How can business architects and enterprise architects work together? What’s in store for Business Architecture in the future? 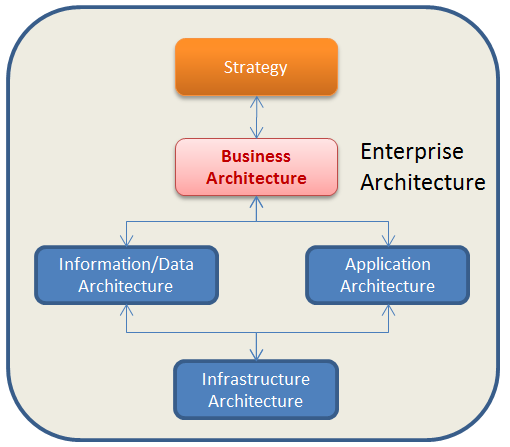 Business Architecture is one of the primary domains within Enterprise Architecture. It deals with the architecture of the business, ideally from a business perspective and is expressed in business terminology. 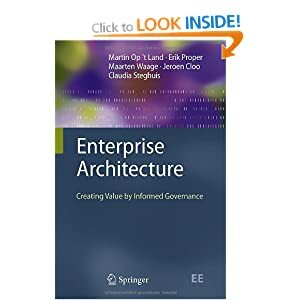 It should not really be considered a separate discipline from Enterprise Architecture but often is by those who persist in misunderstanding that Enterprise Architecture is only about IT and not about the whole of the enterprise. Business Architecture deals with the structure and design of how an enterprise operates, makes money or delivers value, how it organises itself in order to provide products and business services to its customers, clients and consumers. It should be expressed independently of how the business architecture will be mapped to the underlying application architecture and infrastructure architecture, but is more connected to the business/contextual view of the information/data architecture and will include the organisation architecture. 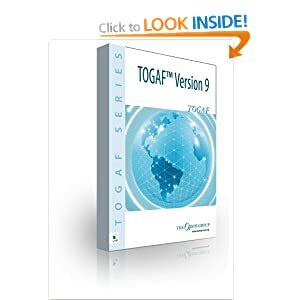 Business Architecture is centred on the business and the business strategy, not on IT or on the IT Strategy and should not be considered just a source of requirements for IT projects (which is the impression that TOGAF gives of Business Architecture). A Business Architect is primarily concerned with supporting and advising the senior executives, providing advice and guidance, and influencing decision making for the Business Architecture domain. What is the role of the business architect? As a specialised type of Enterprise Architect, they are in a leadership role, close to business management working for the CxOs to evaluate and elaborate possible future strategic scenarios. They have a responsibility to guide, recommend and oversee the realisation of the business strategies identified by the CxOs, but they don’t control the business strategy or make the actual investment and strategic change decisions. What real world business problems does Business Architecture solve? 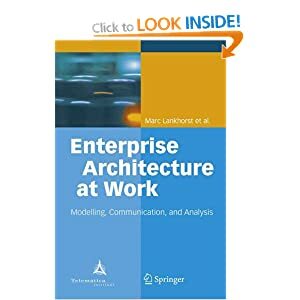 One should not forget that, by definition, an Enterprise Architecture model covers everything about the enterprise including the environment and market which it operates in, its Business Strategies, its Business Architecture as well as the rest of the Enterprise Architect domains. The role of a Business Architect is becoming much more distinct than it has been. many organisations are maturing their enterprise architecture functions that were previously just centred on IT architecture and are now specifically introducing a Business Architect role. How the Business Architect role differs from other roles such as a Business Analyst, Business Change manager, Business Transformation Manager etc. is still playing out. I discussed this to some extent in a previous blog post – The difference between a Business Architect and a Business Analyst. Another current difference is that a Business Architect is often closely associated with the Business units (and perhaps reports to a business line manager of sorts) and therefore is seen as being on the ‘Demand’ side of a business, whereas the rest of the Enterprise Architects (including IT Architects) are often lumped into the IT department and therefore are seen as being on the ‘Supply’ side. In theory, the Enterprise Architects, including Business Architects, should only ever be on the ‘Demand’side and not seen as part of IT. They should report to the CxOs, ideally seen as part of a CEO Office. A Business Architect is a type of (a ‘real’) Enterprise Architect. Business Architecture is a sub domain of Enterprise Architecture. Of course they can. The distinction in the question is artificial anyway, since a Business Architect is just a type of Enterprise Architect that specialises in the Business Architecture domain. But in reality many organisations do have an unfortunate tendency to make up their own interpretation of what these roles actually are. We will see more and more Business Architecture roles in the future as organisations mature their enterprise architecture strategy and capabilities, and they realise that they need to get to grips with their business model and how it is realised. They will need Business Architects to help them do that. For most enterprises embarking on large scale strategic planning and business transformation programmes it is all about staying robust, viable and efficient, continuing to deliver good outcomes and value to their customers/consumers/clients in the future. Enterprises should be wanting to stay competitive and efficient and beat the competition. 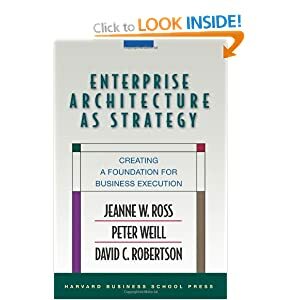 If the enterprise is to succeed, it must make strategic decisions and investments in change based on a thorough architectural gap analysis/impact analysis that is only possible with business architecture as a key part of their enterprise architecture function. 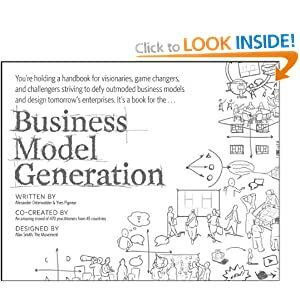 The Forrester blog talks about succeeding with realizing the business strategy by involving enterprise architects, whereas the Good to Great book doesn’t mention enterprise architects but just talks about needing the best people to achieve great things. 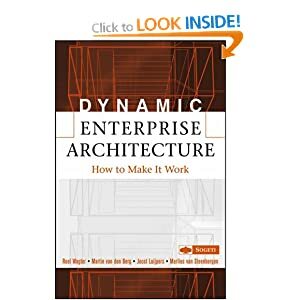 It raises the question ‘Does an organisation need enterprise architects to achieve greatness?’, and ‘What does an enterprise architect need to do to be great themselves?’. An Enterprise architect will certainly bring a logical enterprise-wide view of strategic change, usually cutting across organisation boundaries. 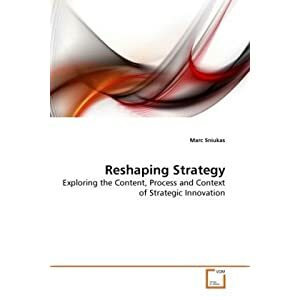 They will look at the strategic design of the enterprise vision in terms of interconnecting business capabilities, where a business capability is a similar concept to a ‘system’ as described in system thinking and the viable system model. They will help with the business thinking. But is this how senior executives see strategic change? I’ve experienced organisation restructuring close up at a large number of organisations over recent years and in all cases, the enterprise architects were not involved at all. The re-structuring tends to be done along business functional lines. Nothing wrong with that perhaps, but it does tend to bake in the old silo boundaries and restrict cross functional reuse of business capabilities. Is this good or great, or merely good enough? How do senior executives see enterprise architects? Enterprise architects work with the executives, senior business stakeholders and heads of all the business functions to build a holistic enterprise architecture vision model that links the enterprise’s mission, business strategies and priorities to the current and future needs in an efficient and viable fashion. For enterprise architects it’s typically not sufficient to merely produce a good vision and good roadmap, but the focus should be on producing a great one that is robust and viable way into the future. Quick and dirty is not a great approach and is often a waste of money from a long term enterprise perspective. 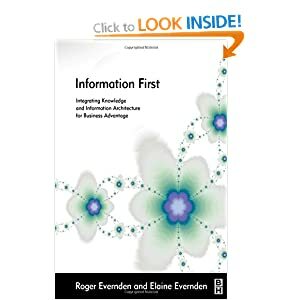 There will inevitably be a sort of creative tension between the various lines of business and enterprise architecture. Part of the reason for this this is that the lines of business invariably take a top down view and the enterprise architects are naturally working across functional silos. There is often a sort of conflict of overlapping RACIs, a clash of who appears to be responsible for making a decision. Generally that is easy, it’s the business strategy owned by the business that makes the decisions. 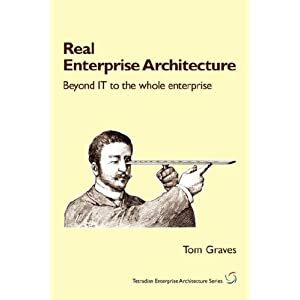 But as George Colony observes in his blog, it’s the enterprise architects that span both the business and technical domains and act as ‘an internal trusted advisor who marries the best interests of the business with long-term technology strategy’. An analogy is within the realm of politics, where the politicians take the decisions helped and supported by their advisors. Also like politics, the lines of business are often challenging each other and pandering to popularity polls. This raises another thought, should an enterprise architect be popular or be professional? Can they be both at the same time? Should an enterprise architect indeed be a kind of politician following the whims of the time, or should they be seen to be standing up for doing the right things for the future? Tactical short term changes are invariably much easier to build a business case and obtain investment for than multi-year long term strategic changes will ever be. Should an enterprise architect just focus on short term fixes, or do their job and focus on strategic change. Like a politician, should an enterprise architect aim to be liked and popular, or respected for their work furthering the best interests of the enterprise? It’s rather like a politician who can only achieve changes within a single parliament, and therefore shies away from embarking on initiatives that will take a long time and multiple parliaments to achieve. Should an enterprise architect just be popular and play politics? Does this make an enterprise architect great? 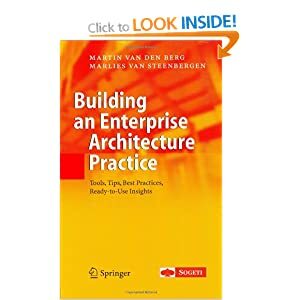 In fact, what does make a great enterprise architect? Ideally 40% of our job is communication. Maybe communication really means playing to the populous crowds? Does promising bread and circuses make things great? James Collins says that good to great companies follow the principle of “First Who, Then What” and hire good people. Collins talks about good CEO’s typically have much humility. So maybe a great enterprise architect should also be humble? Perhaps a great enterprise architect is one who makes great decisions? But then if it is only the lines of business who make the decisions, what then? Often the enterprise architect is not in the position to make enterprise level decisions, only recommendations. To be great enterprise architects should be focused on being neutral and not taking sides, working faithfully for the enterprise as a trusted advisor, taking the enterprise in whatever direction it chooses to go at whatever speed it wants to go, realizing the collective enterprise vision. In turn, the enterprise needs to treat enterprise architects as true trusted advisors and not just delivery agents. Enterprise architects should follow a set of principles, be honourable, forthright and avoid compromise, keeping the organisation honest. Maybe in doing that they won’t always be popular but they will be doing their job. It has been said that ‘business leaders rarely succeed in marrying empirical rigor and creative thinking’, so it is the enterprise architects task to help them do this better and achieve a great enterprise and not just one that is just good enough. Just good enough is never good enough. In my opinion, without enterprise architects, an enterprise cannot easily become great and may only achieve greatness through simple luck.